Howdy! 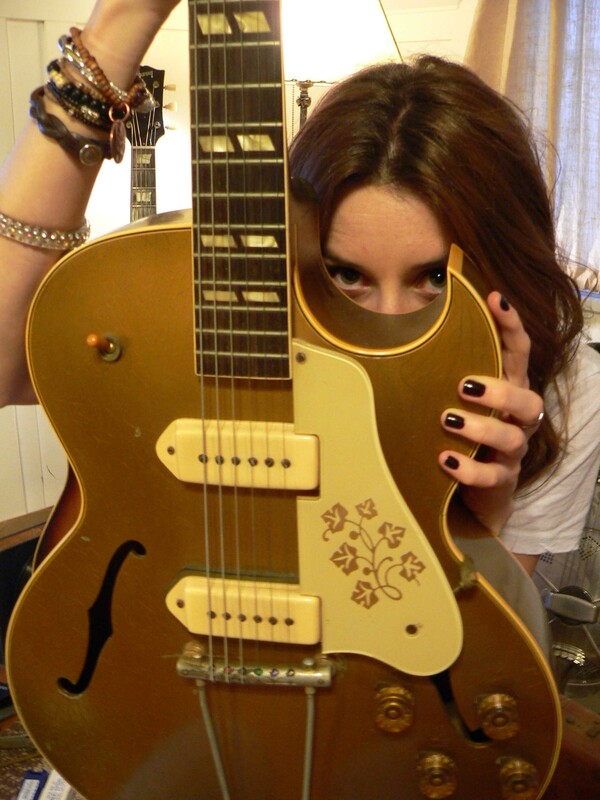 I’ve been so busy selling a pile of guitars for a friend who inherited over 30 from a dearly departed collector. Check my eBay auctions for more to come! Do a search for bigmilk…that’s me! Okay, so the Crazy Danelectros are in stock and everyone is flipping out about the look and feel of the new series. C’mon down and take a test drive! I had the privilege of recording a song for the new Reactionaries tribute record. The Reactionaries pre-date the amazing, San Pedro’s own, MINUTEMEN. I played the drums with Mike Watt on bass and Jack Brewer (from Saccharine Trust) on vocals. Kevin Carle played guitar. It was very hot and sweaty but just about the most fun I’ve ever had. The song we played is “1979” and is also the title of the record. Basically the project consists of ten songs culled from a practice tape and names were drawn from a hat to see who would be playing on each song…how lucky can one man be? Me?!?!!? Not on your life usually, but this time I scored! I sold about six Republic Resolians last month. This is the most popular item I’ve had, ever. New ones are arriving all the time so get your name on the list…these only last a day or two every time I get one in stock. Now the good news! The August Issue of Los Angeles Magazine just gave my humble shop huge props for being the place to be. Check it out. Page 47! Yeah! Thanks to those great folks for recognizing how much hard work goes into having a business and highlighting my efforts. Remember! My Set-Up charge is half of what the other clowns are charging…and I do a good job! $45.00 for new strings and a neck adjustment, fret polishing with the intonation set…what a deal! Bring me your tired, your hungry, your huddled guitar masses…and I’ll do something with it to make your life better. 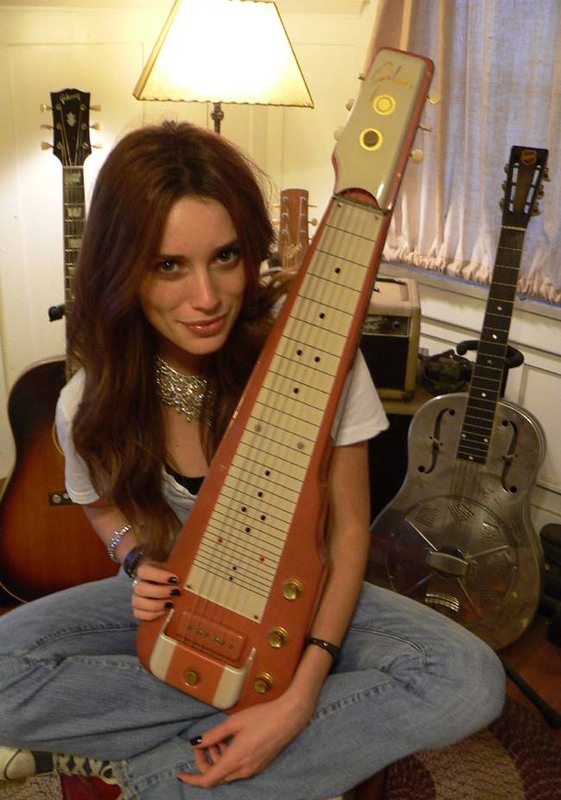 In closing I would happily welcome you to feast your eyes on Guitar Safari’s Official Spokesmodel Arielle in the latest series of eye popping photos featuring a 1957 Salmon Pink Gibson Lap Steel and a 1952 Gibson ES-295…WOW! Evil and lovely all in one package! You can look but don’t touch!